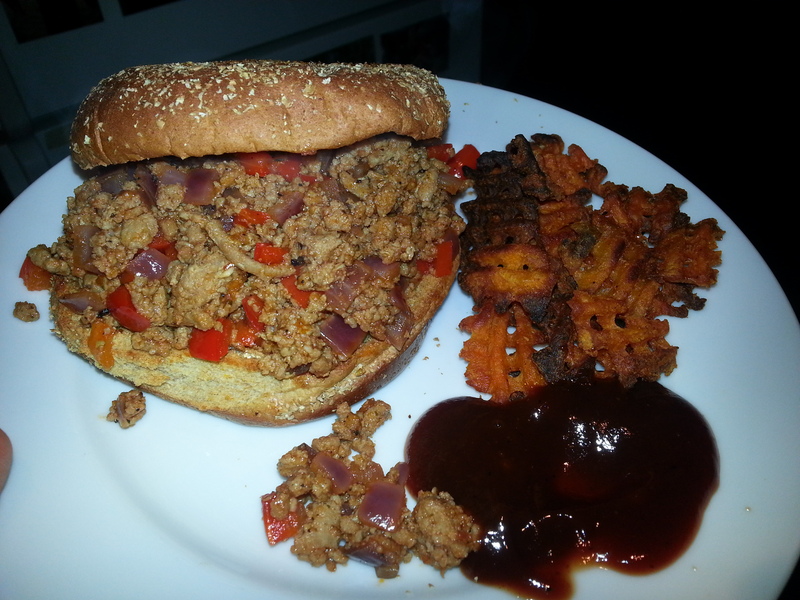 It might surprise you, but there’s something that I never got to experience until college… sloppy joes. It was a special moment. Actually, it really wasn’t. My housemate was assigned to cook dinner, and he turned up with a can of Manwich and a case of Miller HighLife. Hold on, it may have been as a late-night snack… I don’t remember for some reason. What I DO remember is that sloppy joes are wonderfully comforting, and pair perfectly with a cold brew. Neither of those truths has changed for me since college. What HAS changed since then is the quality of the beer and my sloppy joe recipe. Nothing against Manwich, but spending a little time putting together a recipe on my own makes this simple, comforting dinner taste that much better. 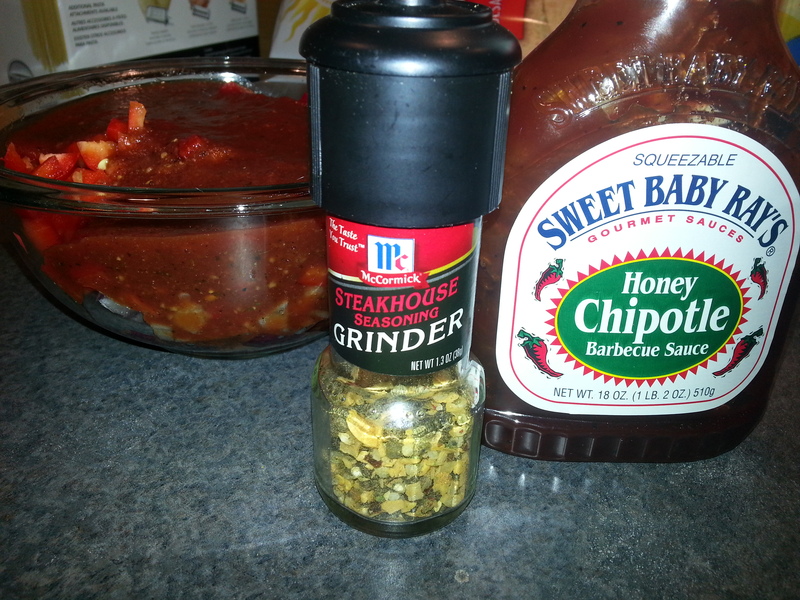 Puree tomatoes, bbq sauce, seasoning, brown sugar, worcestershire, salt and pepper in a food processor. Chop onion and pepper into same-size pieces, and toss into the sauce mixture. Brown ground turkey in a saute pan over medium heat. Break the turkey up and stir with a wooden spoon until the meat is cooked evenly. Drain liquid from the pan. Stir in the sauce mixture, and cook on medium-low for 10-15 minutes, until the sauce reduces slightly. Serve a good dollop of the resulting sloppyness atop a toasted bun.